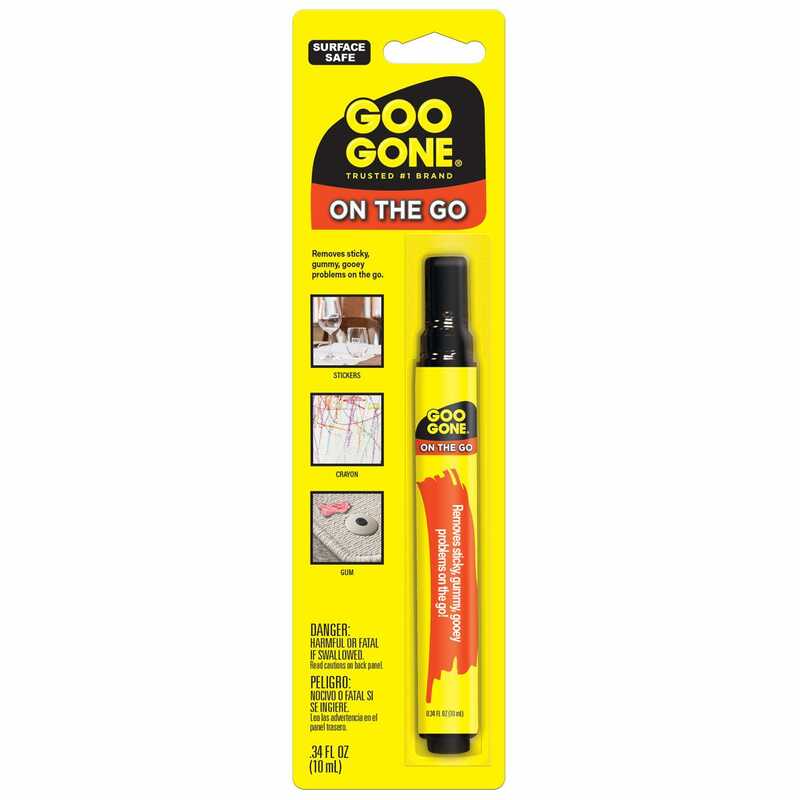 Use Goo Gone wherever you go with our On The Go Pen. Spill proof and unbreakable, it's perfect for purses, travel, and toolboxes. To apply Goo Gone point pen downward and press tip against the surface several times to release Goo Gone. Press and hold for a continuous flow as needed. Store in a closed, upright position. 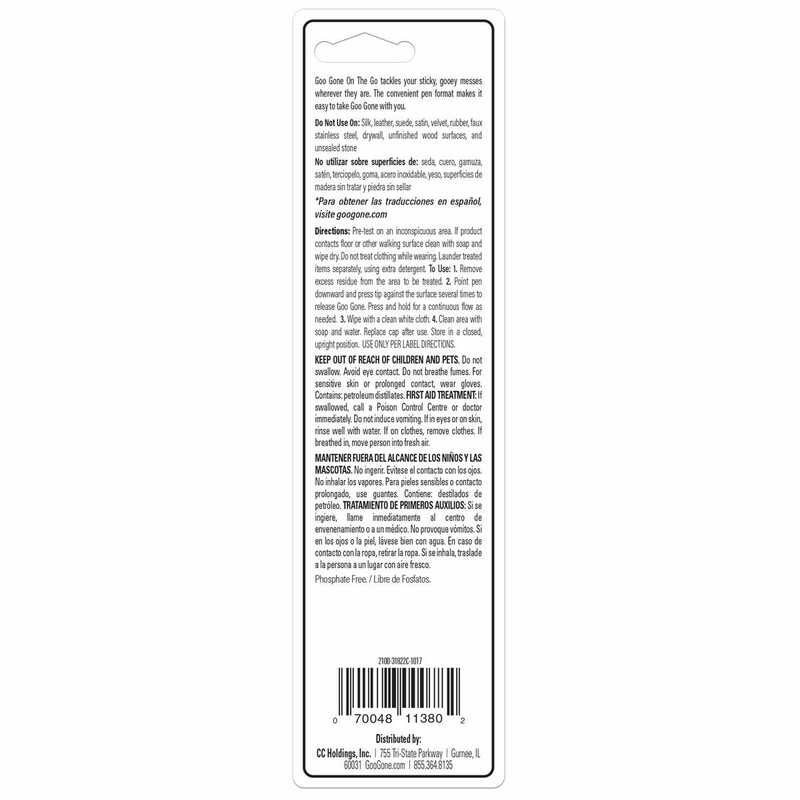 Use only per label directions.